One of my favorite family traditions occurs during Easter break in Sarasota. Numbering 22 in all, we pack a lot of activity into a few days. We spend most of the time in the pool and on the beach, and count on a random dolphin showing at the water’s edge. Another high light of the week is the “Pink Surprise Box”, a bright pink trunk that is brought out right after dinner each night. Inside are toys and treats for the children. On Saturday evening, we gather together poolside for a barbecue and games, and the famous pink surprise box always presents Glow sticks. 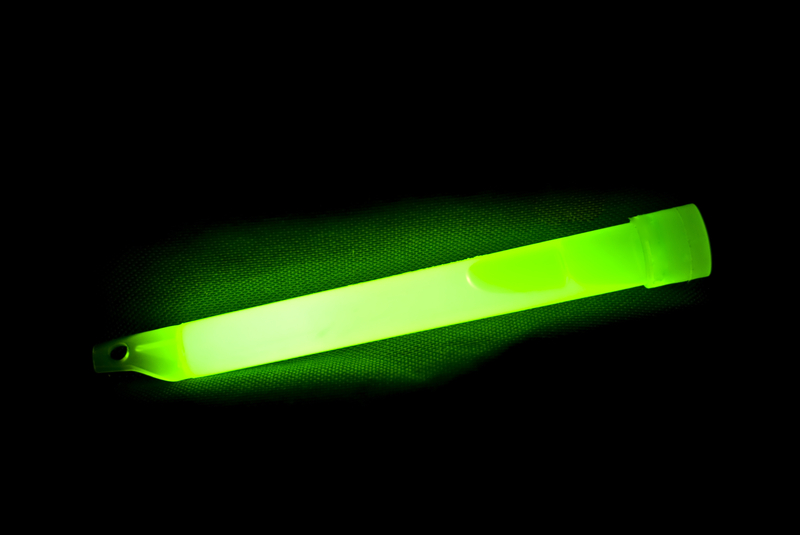 If you are not familiar with glow sticks, they are rather uneventful looking when first unwrapped, but once broken, they emit neon-colored light that seems to shine for hours. When the sky darkens, the kids wear them around their necks, as bracelets, and rings in a variety of colors and do all sorts of dances and gymnastics creating a “light show” on the beach. I remember hearing one of my older grandsons explaining to a younger one who was crying because his glow stick didn’t work, “It doesn’t just shine! You have to brake it before it can shine!” He cracked the younger one’s stick, and it in fact did just that! But a while later, to the child’s disappointment, the glow stick faded. Like the glow stick, sometimes it takes something eventful to get us to shine, such as a birthday, career success, or a new relationship. A young child falls several times before she shines riding her bike without training wheels. An athletic team needs to suffer the loss of a game periodically to see what needs to be done differently to win consistently. An employee works hard at a lower level job to gain experience and then gets promoted to a supervisory position. And, just as the glow stick doesn’t shine forever, nor do we. We have to be of healthy mind and spirit to shine. We have to continually work on our “shine”, feeding our minds with good material, positive thoughts. Shining, or being at our best, is our responsibility and one that requires every day focus. Women with high SUCCESSTROGEN keep shining, offering light and hope to others around them. They know how to keep themselves interested and interesting, how to keep active and healthy. They know the impact of shining for themselves and all those around them. You and I shine some times, and other times not as brightly when we fall short of our values or miss an important milestone. The important point is that we have shining moments and are at our best during them. Let us recognize them and strive to shine more often then not. Let us be more aware when our shine begins to fade so we can brighten it before it disappears. During our shining moments we feel good about ourselves and we draw others to us, motivating others to also shine. I have seen the powerful impact of many glow sticks all shining at the same time on the beach, but imagine the impact of everyone in your family, workplace or neighborhood all shining at the same time! Tagged beach fun, glow stick, inspirational, inspirational message, personal best, Personal Growth, personal improvement, shining.